Google has been striving to wean YouTube from its dependence on ad revenues for some time now. The world’s largest streaming site, which has been offering paid channel subscriptions since 2013 and an ad-free, paid music experience called Music Key (currently in invitation-only beta) since November, looks set to take things a step further. 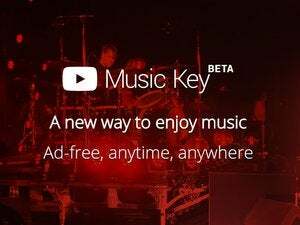 Meanwhile, according to a Reuters story, YouTube is also getting ready to bring its paid Music Key service out of beta in a few months’ time. This too comes straight from the horse’s mouth. “There is a subset of audience who wants more things so they are used to paying for those. We don’t think it changes anything for existing users,” Kyncl was quoted as saying by the news agency. The music service will start at $7.99 per month, and it promises ad-free access to “millions of official videos, album tracks, concert clips, covers, and remixes.” For good measure, it also supports offline and background play. With these rivals not shying away from poaching top YouTube content creators, the site needs to figure out a way to better compensate content creators—other than opening its checkbook for top talent every two to three years. Getting users to loosen their own purse strings could help. Seeing as how its audience hasn’t warmed up to the site’s paid channel experiment, however, it will be interesting to see how it responds to whatever new subscription model YouTube has in store.